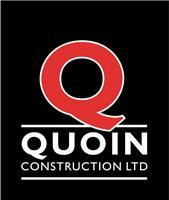 Quoin Construction Ltd - Builder based in Wokingham, Berkshire. Welcome to Quion Construction... Building on Brilliance! Quoin was formed in 1997 by Philip Preston an experienced tradesmen and determined to provide a high standard of workmanship with a greater level of service to our customers. The key to Quoin's success is the attention given to the communication with the customer ensuring the smooth running of the job. Quoin undertake all types of building work and typically work within a 10 mile radius of Wokingham. Wokingham, Crowthorne, Bracknell, Ascot and surrounding area.